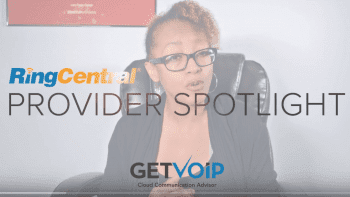 Grasshopper and Phone.com are part of a new generation of VoIP providers that are tailored to the on-the-go Entrepreneur. Grasshopper and Phone.com follow a similar business model of divvying up minutes among several users. One number is included in the lower tiers, and paying a little more gives you a second number, so you can have a personal number for The Boss. They turn regular phones into extensions, bringing together a workforce that can be spread around the world. 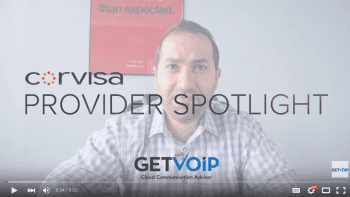 Let’s see how these two popular VoIP providers stack up. Toll Free Number 800, 888, 866, 855, 844, or 877 numbers available. 800, 888, 866, 855, 844, or 877 numbers available. The first comparison point is price. Both providers let you share minutes among devices. Grasshopper’s monthly plans are “Ramp,” which includes 500 minutes and 1 number for $24/mo; “Grow,” which includes 2,000 minutes and 2 number for $49/mo; and “Max,” which includes 10,000 minutes and 3 numbers for $199. Grasshopper also has a $12 per month plan where you pay 6 cents a minute, called the “Pay as You Grow” plan. Phone.com gives you the option of metered minutes, which can be split between users, and an unlimited plan, which can be one unlimited user or many, should you choose. The unlimited plans are $24.99/user; the metered plans are $0.049 per minute pay-as-you-go; $300 minutes for $14.99/mo; 700 minutes for $27.30/mo; 2,200 minutes for $77.00/mo; 2,500 minutes for $85.00/mo; 5,000 minutes for $165/mo; and 10,000 minutes for $310/mo. Remember that if you have an unlimited user, any calls they make will not be taken from the pool of minutes. One number is included for all Phone.com plans, and additional numbers are $4.99 each. Both providers have no activation fee at the time of this writing. Phone.com and Grasshopper offer many of the same cloud-based features, including routing your call to up to three phones, offering a click-to-call widget, call screening and handling rules, auto-attendant/dial-by-name directory, caller ID, and many more. There are, of course, some features that aren’t exactly the same, which we’ll get into now. One way in which services like Grasshopper and Phone.com stand out from other hosted PBX models is that they include toll-free calling for the same price as local calls. It costs $30 to activate a vanity toll-free number on Grasshopper, but Phone.com lets you activate a vanity toll-free number for free. They both have all the major toll free prefixes—800, 877, 866, 855, and the newest, 844. Speaking of numbers, one area where Phone.com has a distinct edge is in international numbers. Phone.com includes a free iNum international number, and has international inbound numbers. Australia, Austria, Belgium, Bulgaria, Canada, Cyprus, Czech Republic, Denmark, Estonia, Finland, France, Germany, Greece, Hungary, Italy, Israel, Latvia, Lithuania, Luxembourg, Malta, Mexico, Netherlands, Poland, Portugal, Romania, Slovakia (Slovak Republic), Slovenia, South Africa, Spain, Sweden, Switzerland, United Kingdom. Argentina, Bahrain, Brazil, Chile, El Salvador, Georgia, Hong Kong, New Zealand, Puerto Rico. Grasshopper, on the other hand, offers only North American numbers, but they can accept calls from most anywhere in the world, at a per-minute rate. Grasshopper cautions that some countries cannot call toll-free numbers. Phone.com and Grasshopper have a mobile app which is free to download. As you might expect, the app is used to make and receive calls/texts, review faxes, manage your address book, and check your voicemail. The Phone.com app lets you initiate a conference call, and you can also sign up for the service within the app. So far, the Grasshopper mobile app is only available for the iPhone, and the Phone.com app is available for BlackBerry, iOS and Android. One way that Phone.com really stands out is that it doesn’t have to rely on another phone service in order to work properly. With Grasshopper, you have to use your cell or office phone, and calls are routed to your phones (or the mobile app). With Phone.com, you can actually order IP phones, or use a softphone for an additional $4.99 per month, to connect directly to their network. Because of this ability, Phone.com subscribers are charged $1.50/mo/device for E911 access, but remember, Grasshopper subscribers can’t use the service to call 911 at all! Both Grasshopper and Phone.com offer Voicemail transcription. Grasshopper subscribers can get the premium “Read Your Voicemail” feature, which sends a transcription of your voicemail, along with an MP3 of your message, to your email. Phone.com offers your choice of $1.50/mo for unlimited computer transcription or pay 25 cents per message for a human-assisted transcription—with your first four messages transcribed free of charge. With Phone.com, you can have the transcribed message sent to your email or texted to your phone. This is another category where Phone.com takes the edge for its big price advantage. Faxes still play an important role in today’s business world. Grasshopper has a unique feature called “Fax on Demand.” Rather than send an outgoing fax to an individual fax number, the business builds a library of files by faxing them into Grasshopper’s server. Anyone who wants a fax from a Grasshopper subscriber then can dial into that library and get those documents printed out. It’s great for form letters, maps, order forms. You don’t even have to be in the office or anywhere near a fax machine for your business associates to use Fax on Demand. By comparison, Phone.com’s fax offerings are a little stale. You need to have a second phone number, which will cost you $4.99 per month. You send and receive paperless faxes using your scanner and printer in much the same way other paperless faxes are done, and you’ll get a text message when you get a fax. This is one feature where Grasshopper is much better. Conference calls are a necessity in today’s business world, and both Grasshopper and Phone.com have great conference bridge options. When you use a conference call, you multiply the minutes used by the number of participants. Grasshopper subscribers can conference with a respectable ten participants, while Phone.com allows for an astounding five hundred. Phone.com assigns a conference bridge number, and it cannot be changed at any time. No cloud-based phone system would be worth its salt without music on hold. Grasshopper and Phone.com both offer free on-hold music with the option of uploading your own custom music. But Phone.com offers a premium feature that Grasshopper doesn’t. For $0.99/mo you can subscribe to premium on-hold music channels. You get your choice of five legal music streaming channels that play songs by well-known artists like Bruce Springsteen, Bob Marley, Daft Punk, Jay-Z, or Miles Davis. Phone.com has a proprietary CRM that tracks calls and callers. Basic caller analytics are an extra $2/mo, and Full caller analytics are $4.99/mo. Grasshopper does not have a proprietary call tracker, but they have suggested several open-source business solutions on their blog. A popular option for many business phones today is professionally recorded greetings. For Grasshoper subscribers, recording voice and prompts are a flat $75, and is even included for free for Max plan customers. They can even write the script for you for an additional $100, which is still free for Max plan customers. 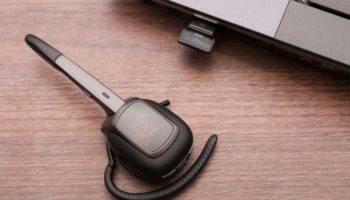 Grasshopper can give you professional voice recordings in English, Spanish, and French. Grasshopper charges per message, and charges $79 and up for most recordings, like voice prompts and greetings, and even website audio, and charges $94 and up for a message on hold. Grasshopper takes this round for having a much better deal on voice recording. Before we get to the end, I want to mention a feature that Phone.com offers that doesn’t fall into any traditional category, and is something of a novelty. It’s called “Chatcalls.” With this feature, you can combine pre-recorded greetings with a customized message that can be sent to another person’s phone. You can use this service to send birthday greetings, jokes, and other messages. The feature is somewhat anonymous, but your regular caller ID is attached to the message. It’s free, aside from the minutes it uses, and if there’s a response to the message, it gets sent back to you. It’s a neat feature, but I don’t see how it can match up to actually picking up the phone and calling someone yourself. Finally, both services offer 24/7 US-based phone technical support, and no directory assistance. Phone.com gives you a free 30-day, 300 minute trial, with no credit card needed, and you can even download the app first and sign up using that. Grasshopper does require a more thorough sign-up process, but they have a 30 day money back guarantee. If you aren’t satisfied within a month, you can cancel and they’ll refund your money. Phone.com has no contracts, while Grasshopper has a month-to-month contract. In either case, you won’t be charged a fee for canceling quickly. I wouldn’t say there is a huge difference between the two when it comes to the introductory period or the cancellation process. When tallying up the different features, you can see by the price per minutes alone that they’re about even, although Grasshopper can be had for slightly less, especially when you’re sharing a high number of monthly minutes. When comparing premium features, Phone.com has a much better deal on voicemail transcription, but Grasshopper has the better value when it comes to professional greetings. In this reviewer’s opinion, Phone.com is worth the extra for the minutes when you compare how much you can save on some premium features.